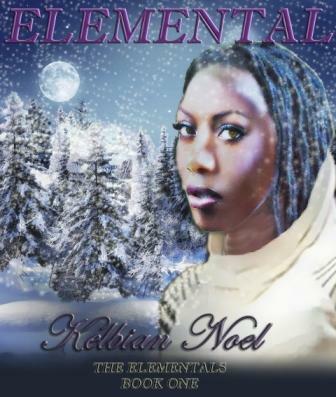 If you’re in to Young Adult Urban Fantasy, be sure to check out Elemental (The Elementals, Book I) by Kelbian Noel. She’s doing alright, with a boyfriend who seems to like her just the way she is and an awesome best friend who is fascinated by her lifestyle, but she’s not the most popular girl in her small Utah town. In fact, she’s kind of the town freak. From a very young age, Kelbian loved to read. She found herself engulfed in novels by Janette Oke and L.M. Montgomery, but never seemed to find herself in the pages. At the age of 11 she declared she would write stories that had to do with her own experience, and be the youngest author in history. But life was full of baseball, homework, best friends and boys. Decades later, having studied writing in college and pursued it as a career, Kelbian decided it was time to get back to her dream. This time life’s distractions couldn’t shake the feeling that the world needed to hear Baltimore’s story. At least those who would listen! A year later, Kelbian is excited to introduce Elemental to the world with hopes someone will love the story as much as she does. Kelbian lives in Toronto, Ontario, Canada with her two children. Next → Next post: Coming February 2013: Bloodlight . . . Thanks for hosting this feature!